Political analysts say President Emmerson Mnangagwa's new Cabinet - in which he dumped both friends and foes alike on Friday last week - demonstrates that he is determined to reset the government's compass, as his administration battles to turnaround Zimbabwe's ailing economy. This comes as long-suffering Zimbabweans, including Mnangagwa's critics, have warmly received his Cabinet choices which they believe could finally end decades of economic misery in the country. The Zanu-PF leader swung the axe on much of the deadwood that had been "permanent fixtures" in ousted former leader Robert Mugabe's misfiring Cabinets. Among those chopped from his previous Cabinet were his long-time loyalists and vocal backers at the height of Zanu-PF's ugly factional, succession and tribal wars, which were ruthlessly ended by the military intervention of last November. Apart from cutting loose the old guard, Mnangagwa also significantly reduced the size of the previously bloated Cabinet - while also taking away the key Defence portfolio away from his influential deputy Constantino Chiwenga. University of Zimbabwe political science lecturer Eldred Masunungure said yesterday that Mnangagwa was "now flexing his muscles as the president" - and in the process moving to dispel the view that he was weak. He added that last month's poll victory had given the president the legitimacy to act boldly, as he was now acting on his own mandate. "He is now his own man as he has earned his legitimacy. He is no longer beholden to both those who launched the military intervention and those who supported him during the era when he was down. "The current situation dictated that those who did not have the skills would be dropped from government to create space for those who are better skilled. "Thus, we now have the infusion of more competent people in Cabinet, at least on paper. In a nutshell, Mnangagwa's Cabinet appointments are mostly because he now has the legitimacy, and now has freedom of action," Masunungure told the Daily News. Among the heavyweights that Mnangagwa sacrificed are his top ally and former Treasury chief Patrick Chinamasa - who had lately attracted fierce criticism due to the country's deteriorating economy. His new-look Cabinet includes former swimming sensation Kirsty Coventry, as well as the highly-regarded Mthuli Ncube - a 55-year-old former African Development Bank (AfDB) deputy president and founder of the now defunct Barbican Bank, who succeeded Chinamasa. Other heavyweights who fell by the wayside included Mike Bimha, Josiah Hungwe, Simon Khaya Moyo, Webster Shamu, Obert Mpofu, Simbarashe Mumbengegwi, David Parirenyatwa, Supa Mandiwanzira, Petronella Kagonye, Martin Dinha, Angeline Masuku, Owen Ncube and David Musabayana - who served in the previous Cabinet as either full ministers or provincial ministers. However, Masunungure told the Daily News that Mnangagwa had not "completely" dumped his old comrades as he was likely to provide many of them with "a soft landing" at the Zanu-PF headquarters. "He is likely to transfer them to the party where they will be made to believe that the party is superior to government, although we know in practice that it is more prestigious to be in Cabinet than at the party," he said. Last week, the Daily News correctly reported that Mnangagwa would dump the deadwood that had worked for decades with Mugabe, and shunt some of them to the party's headquarters as Zanu-PF adopts a modus operandi which gives it more power than the government - similar to the Chinese model. This was after Zanu-PF insiders had told this publication that Mnangagwa was "definitely going to re-assign many bigwigs" to the party's headquarters - commonly referred to as Shake Shake House in Harare street lingo - in a bid to both strengthen its administration and to also breathe new life in government. The Chinese Community Party (CCP) has a similar model, which has also lately been adopted by President Cyril Ramaphosa's African National Congress (ANC) in South Africa. Namibia-based academic Admire Mare said Mnangagwa's resetting of his Cabinet demonstrated that power resided with him alone. "It is too early to make any conclusions whether he has dumped them (old guard) entirely from the power structures. But in some ways, the Cabinet reshuffle has demonstrated his willingness to disengage with the past," Mare said. "While I think it took a lot of bravado to offload his friends from Cabinet … this tough decision was taken in order to reassure local and international communities that there is a new dawn and that no one is indispensable. "We need to vigilantly monitor the transformation to see whether it's real or it's just a veneer of it for the optics," Saungweme told the Daily News. Over the past few weeks, the prices of basic commodities went up sharply, while some goods disappeared completely from supermarket shelves due to the country's acute foreign currency shortages. Millions of Zimbabweans cast their vote in the historic July 30 elections, to choose both a new Parliament and president - following the dramatic fall from power of Mugabe in November last year. The elections were the first since 1980 to be held in the country without Mugabe's participation, whose 37-year iron-fisted rule was stunningly ended by a military operation which triggered events that ended with his resignation. The elections also marked the first time that the main opposition MDC was not represented by its founding leader Morgan Tsvangirai, who lost his brave battle with cancer of the colon on Valentine's Day this year. 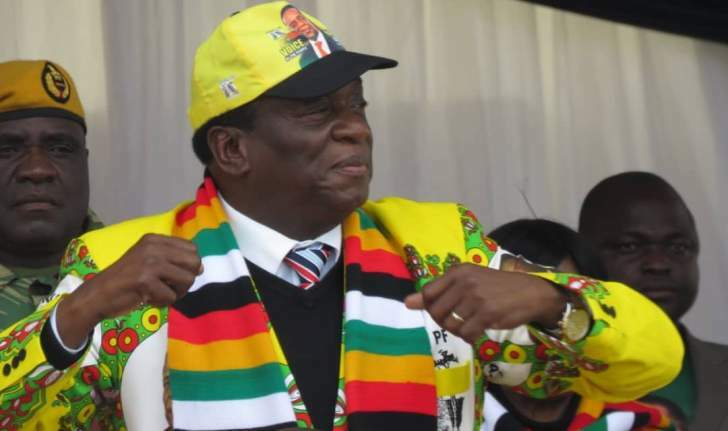 Zanu-PF retained its two thirds parliamentary majority in the elections, with Mnangagwa winning a tightly contested race by a revised 50,6 percentage points.